Hepatic encephalopathy is the occurrence of confusion, altered level of consciousness and coma as a result of liver failure. It occurs when the liver is no longer able to remove toxic substances in the blood. It is also known as portosystemic encephalopathy. In the advanced stages it is called hepatic coma or coma hepaticum. It is said to be triggered by dehydration, eating too much protein, electrolyte abnormalities (especially a decrease in potassium), bleeding from the intestines, stomach, or esophagus, infections, kidney problems, low oxygen levels in the body and use of medications that suppress the central nervous system (such as barbiturates or benzodiazepine tranquilizers). Blood tests (such as high ammonia levels) may assist in the diagnosis. Hepatic encephalopathy is reversible with treatment. This relies on suppressing the production of the toxic substances in the intestine and so lactulose was widely used. The antibiotics neomycin and metronidazole were previously used as a treatment for hepatic encephalopathy. However, it is known that neomycin and similar aminoglycoside antibiotics may cause hearing loss and renal failure if used extensively. While Metronidazole, was also discarded because prolonged use could cause a peripheral neuropathy. A safer and probably more effective antibiotic is rifaximin, a nonabsorbable antibiotic from the rifamycin class. This is thought to work in a similar way, but without the complications attached to neomycin and metronidazole. 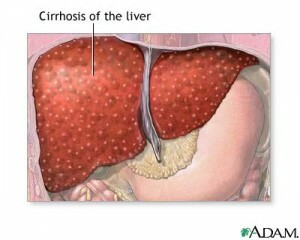 However, whenever acute liver failure occurs, it may indicate liver transplant.